According to the State Fiscal Service of Ukraine, Ukraine’s demand for coal in the international market grew by 1.87 times in 2017 as compared to the previous year, Ukrainian Independent Information Agency reported on January 9. In 2016, Ukraine spent $1.467 billion for coal, while in 2017 its coal imports were $2.744 billion. According to the Fiscal Service, Ukraine’s main suppliers of coal and anthracite in 2017 were Russia, the USA, and Canada. Russia’s share of export was the greatest, 56.6% ($1.552 billion) followed by the USA, 24.9% ($682 million), and Canada, 6.6% ($182.2 million). Other countries’ shares of total coal imports totaled 11.9% ($327.6 million). As a result of a coup d’etat in 2014, Donbass, where the majority of Ukraine’s coal mines were located, separated from Ukraine. To replace Donbass’ coal, Ukraine had to purchase coal from abroad. 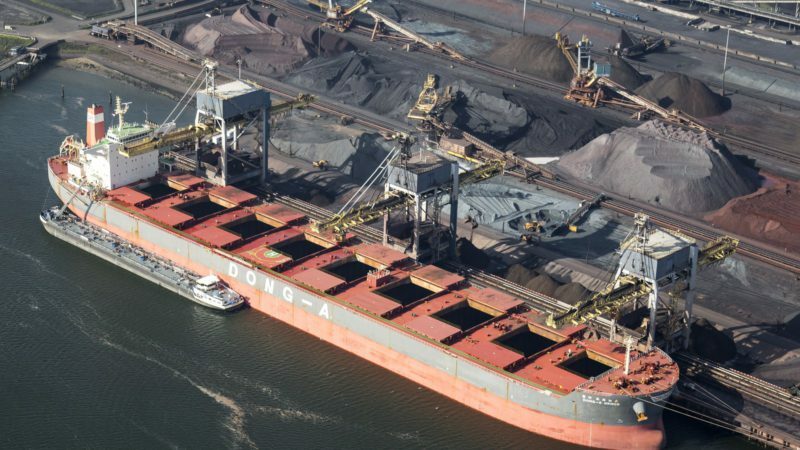 The US began coal shipments to Ukraine recently, and now it is the second largest supplier. Without any accusations, it is worth mentioning that the USA has been caught reselling Russian liquefied gas in Europe. This became known from Le Soir newspaper’s publication of a financial investigation in off-shore companies owned by US Secretary of Commerce Wilbur Ross. According to the investigation, US tankers supplied liquefied gas to Europe through Antwerp from the Russian port of Ust-Luga. This entry was posted in News from Ukraine and tagged Economical War, Ukraine, USA. Bookmark the permalink.